Should the dreaded words, “I’m bored” cross your child’s lips this spring break, you can always suggest killing time with chores—the go-to reply of moms for generations. But if that’s not your style (or better yet, the kids complete their chores), here are some alternative activities you can all enjoy together, easily accessible from BackCountry. Just in case you need a reminder, spring break at BackCountry schools is March 18-March 27 at Stone Mountain Elementary School, Ranch View Middle School, and Thunder Ridge High School. Fashion, history, weaponry—there’s something for every taste at this special exhibition at the Denver Art Museum. Surrounded by exquisitely decorated suits of samurai armor, helmets, weapons, horse trappings, and additional battle gear, visitors will be immersed in the life, culture, and pageantry of samurai from the 1100s to 1800s. 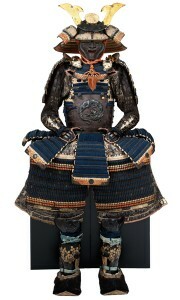 The exhibit will also highlight the artistic inspiration for these masterfully crafted suits of armor. Ticket prices vary. Learn more. A springtime trip to the zoo is always a welcome idea, but now there’s an extra reason to visit. Well, actually, four: Dikembe, Heshimu, Masika, and Kipele, the four reticulated giraffes that you and your children will have the opportunity to feed by hand. Go for the whole day, but stop by the giraffe habitat for Encounter times at 11am-noon and 1pm-2pm on Fridays, Saturdays, and Sundays. General admission tickets are $9-13. Learn more. Get ready to cheer on your favorite college team: The first and second round of the NCAA Division I Men’s Basketball Championship is coming to the Pepsi Center. Opt for games only or a PrimeSport Hospitality Package with light hors d’oeuvres, a cash bar, entertainment, excellent tickets to the game, and more. Get tickets here. 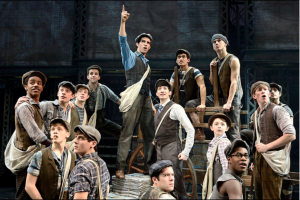 Winner of the 2012 Tony Awards for Best Score and Best Choreography, Newsies is a Disney musical that tells the underdog tale of newspaper delivery boys who stand up to the most powerful men in New York—and it’s based on real events. Direct from Broadway, this high-energy show has quite the pedigree, with a score by Alan Menken (Beauty and the Beast), a book by Harvey Fierstein (La Cage Aux Folles), and choreography by Christopher Gattelli (South Pacific). At the Denver Center for Performing Arts. Tickets start at $25. Learn more. Get a sense of what life was like in the 1800s (hint: it wasn’t easy) at this beloved community resource in the heart of Littleton. Located on 39 acres, the museum consists of two living history farms (representing the 1860s and 1890s, respectively), a small lake, and exhibits inside the main building. Plenty of animals for the kids to ogle, too. Open for more than 40 years, the Littleton Museum has been recognized as one of the top ten local history museums in the country and, amazingly, it’s still free to visit. Learn more.